We also have a Live Online Info Session! The mission of the Atlanta Speech School is to help each person develop his or her full potential through language and literacy. Established in 1938, the Atlanta Speech School serves children and adults with speech, hearing, language, or learning disabilities through clinical and educational programs, in addition to providing professional development for teachers and educators in partner schools and preschools. All of our programs are built upon a foundation of caring instruction, based on proven research, and strengthened with a depth of academic and clinical knowledge. We encourage applications for employment from professionals seeking meaningful careers and who are committed to the mission, values, and principles of the School. The Wardlaw School for children with language-based learning disabilities is currently seeking an outstanding professional to serve as classroom teacher in our multi-disciplinary, collaborative educational environment. The Wardlaw School is dedicated to serving children with average to very superior intelligence and mild to moderate language-based learning disabilities including dyslexia (reading disability). Children accepted into the Wardlaw School may exhibit underlying auditory and/or language processing problems that make it difficult for them to learn in their present educational setting. Our students are between the ages of 5 and 12 years old and are in kindergarten through 6th level. Wardlaw School students typically have a diagnosis of dyslexia or "red flags" for the disorder. They may also have difficulty understanding and/or using spoken language, expressing themselves through written language, or experience mathematical difficulties. Knowledge of research-based practices in areas of language development, reading, math;innovators and thinkers who choose to work in an environment where they can truly make a difference in the life of a child; Master's degree in learning disabilities, reading, speech/language pathology, or special education is required; possess or eligible for current Georgia teaching certificate and/or certification from ASHA; understanding of interaction between language and learning; training in at least one multi-sensory reading method. Experience preferred. Among the many programs at the Atlanta Speech School, children and adults with hearing loss and language processing difficulties are served. Therefore, the clarity of an applicant's speech and language may be part of the hiring decision as they relate to performing the essential functions of the position. This 190-day, full-time school position offers a generous benefit package including health/dental/life/vision and long term disability insurance; the School subsidizes health insurance premiums of staff and families. Other benefits include Flexible Spending Account; 403(b) Plan; Employee Assistance Program and Travel Assistance Services; cost reduction of some Atlanta Speech School services; subsidized meals during working hours; accrued sick leave; and credit union membership. Please submit all of the following documents by June 15th to HR@ATLSPSCH.ORG to ensure that your information is considered: cover letter, resume, copy of ASHA Certificate of Clinical Competence and Georgia License in Speech-Language Pathology, college transcript, and written submission describing how your particular skills, talents, and/or expertise could be beneficial to the Wardlaw School (please limit to 500 words). TEAM Charter Schools is a network of 5 charter schools in Newark, New Jersey, fundamentally committed to meeting the needs of all Newark students. We take great pride in our Special Education program and if we are to meet our vision of serving all students, we must continue to build a world-class Special Education program for our student population that not only mirrors local public schools in the percentage of students with identified needs, but also in the broad spectrum of academic and behavioral needs we serve every day. We are looking for a Director of Special Education who is able to create a vision that will help us achieve that goal as we enter a period of sustained growth. Strong candidates will have instructional leadership experience, a strong knowledge of Special Education law, and the ability to develop teachers, work with families, and build strong coalitions outside of regular reporting relationships. We expect all of our employees to be kid focused, but a successful Director of Special Education must be uniquely committed to thinking of students first as they work with others to find big picture solutions to our students' needs. The Director of Special Education ensures that all special education students, across all schools, produce breakthrough academic results. The Director holds primary responsibility for the development, implementation, and assessment of all specialized services, including special education, academic interventions, counseling, and other related services for all TEAM SCHOOLS. The Director ensures that the IEP needs of all special education students are met with robust and rigorous strategies. The Director reports to the Director of Curriculum and Instruction and provides support to principals and all TEAM SCHOOLS. To apply, visit http://www.teamschools.org/jobs/ and click the "Apply Now" button at the top of the page. Once you have searched and selected this position, create an account at the bottom of the page and submit your application. Under supervision of the Assistant Director for Educational services, develop and implement a curriculum consistent with state requirements and individual student's IEP and treatment goals and agency philosophy. Provide direct supervision including the employment discharge and periodic evaluation of classroom instructional assistants. Through this supervision enable IA to assist in the instruction, child supervision and activity planning and meet goals of personal job satisfaction. Participate in the planning for and supervision of children during milieu activities and events including field trips, parties, etc. Respond with cooperation and flexibility when planned or unforeseen disruptions occur such as substitute staff, make up meetings, special events, etc. Instruct subordinates concerning all LCC safety policies, procedures, and rules, and enforcing these within work group. Ensure that subordinates attend all required safety training sessions. Require immediate reporting of all workplace hazards, safety rule violations, near misses, and work related injuries. Demonstrated awareness of, sensitivity to and competence in dealing with cultural and socioeconomic diversity of client population. The ability to relate effectively and professionally with children, supervisor, co-workers, family and extra-agency personnel. BA/BS degree from an accredited college or university, MA in reading or learning disabilities desirable. CA, LH or SH credential as a Special Education Teacher from accredited college or University. Eligibility for CA Emergency Specialist credential also considered. Minimum of one year experience teaching a special day class for seriously emotionally disturbed children. CLASSIFICATION: Regular, full-time, exempt, non-union, benefited position. Directs the BOCES program which is comprised of two seperate districts. Ensures compliance with regulations (State and Federal) for all programs within the BOCES. Acts as an agent of the Board of Directors. Establishes and prepares meeting agendas, presents items for consideration to the Board and responds to inquiry from the Board. Ensures the communication and interpretation of Board decisions and requests to staff. Provides goal setting and problem solving to staff. Responds to staff and community regarding questions or problems about BOCES operations. Recommends policy and program decisions to the Board. Develops administrative rules and procedures to implement Board policy. Makes frequent visits to school sites. Attends various organizational meetings outside the BOCES. Plans, supervises and evaluates all BOCES personnel. Consults with staff, parents and outside agencies regarding special education students and programs offered. Responds to parents regarding the evaluation and placement of their children. Educates and discusses special education programs, personnel and students with building administrators and superintendents of districts within the BOCES. Obtains funding from the local, state and federal programs to ensure a free and appropriate educational program for all students. Submits program documentation for approval, applies for grants, submits budgets and financial reports and prepares and submits program reports to agencies. Develops and administers the BOCES budget. Ensures compliance with appropriate State and Federal Constitutional and statutory rules and regulations.. Monitors staff caseloads and student progress. Recruits, selects and recommends personnel to be hired for the BOCES. Maintains complete and cumulative individual records of all children receiving special services. Assists in the adaptation of district policies to include special education needs. Keeps informed of all legal requirements governing special education and other federal programs within the BOCES. Plans staff in service training activities. Supervises all BOCES employees. Carries out supervisory responsibilities in accordance with the organization's policies and applicable laws. Responsible for the overall direction, coordination, and evaluation of all programs within the BOCES. Responsibilities include interviewing, hiring and training employees; planning, assigning, and directing work; appraising performance; rewarding and disciplining employees; addressing complaints and resolving problems. Must be capable of working in a team oriented special education department and ensure compliance with regulations (State and Federal) for all programs within the BOCES. Prospective candidate must have a master's degree or equivalent, in administration with a special education endorsement from as approved program. 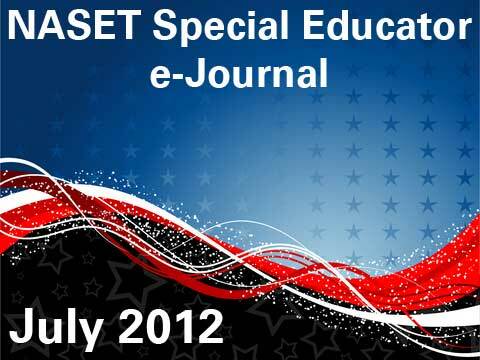 Three years of successful professional practice or administrative experience in special education, or combined thereof.